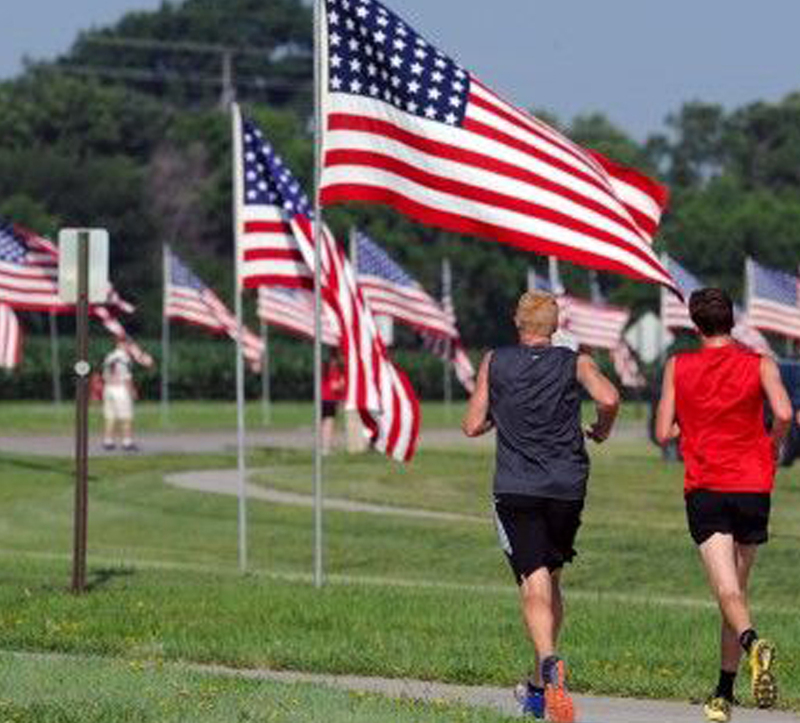 Fremont’s Avenue of Flags will honors those who served with hundreds of flags displayed down Military Avenue. The flags, all of which draped the casket of a veteran, will line Military Avenue as part of the patriotic display that can be seen in Fremont several times a year. “There have been several flags flown from veterans who were prisoners of war, missing in action or killed in action, and countless more whose stories we will never know,” Chris Madsen, commander of Avenue of Flags, said. “Each and every veteran’s flag will be cherished equally and flown proudly,” he said. The Avenue of Flags currently displays around 350 flags on certain holidays throughout the year, including Veterans Day, and have represented veterans from wars throughout America’s history. The Avenue of Flags first started in the early 1970s through the Disabled American Veterans of Fremont and the American Legion Post 20. Hosting five events annually, on Memorial Day, Flag Day, Fourth of July, Labor Day and Veterans Day, the founders started accepting flag donations from family members of deceased veterans. The Avenue of Flags organization relies on local volunteers to help place, and take down, the flags along Military Avenue.